SLIM UP® works to build muscle tone, target stubborn fat and helps slim up the body. Available exclusively at Foggiare, this technology encourages a boost in metabolism, and, combined with a healthy diet and exercise, can get you to your weight loss goals. Excess weight can be caused by many factors–our genes, diet, lifestyle, medical conditions and more–and many people struggle to successfully reduce their weight. This advanced whole-body system helps clients through the process, supporting diet and exercise efforts with proven system. Your journey begins with a comprehensive assessment of your body, skin condition, morphology, and lifestyle, and in just a few minutes, our state-of-the-art technology generates a full-report and tailored program. Electrosculpt treatments provide infrared light therapy, delivering safe, concentrated wavelengths of therapeutic natural light to skin and cells, targeting fat and helping to stimulate cellular energy production. Combined with muscle stimulation--which gives the body a workout (as if you were in the gym)--this system encourages a boost in metabolism, burns calories, strengthens muscles and assists the body to power itself more effectively. FDA CLEARED. Submersion in our infrared steam bath does more than relax you and beautify your skin. Infrared penetrates into the skin tissue, warming the body and helping the steam to encourage local blood flow and stimulate cellular function. Good circulation invigorates the body and can help jumpstart metabolism, driving the body to burn fat. Sit back and de-stress while this treatment works with you to reach your weight goals. Swelling, water-retention and excess weight are a sign the lymphatic system needs support. Presso-therapy helps direct energy and blood flow to fat cells, improving circulation, mobilizing excess fluids and helping the body to function at its best. Increased circulation energizes you and helps to burn more calories. Foggiare’s Slim-Up Drain system delivers full-body presso-therapy to compress and massage the upper and lower limbs, head,and face, working to create an optimum internal system for weight management.  FREE Infrared Steam Immersion and Foggiare-exclusive Wellness Analysis.. Complete this form and we'll email your FREE TREATMENT PASS.